QQQ option trading is simply about using the exchange traded fund (ETF) commonly known as the QQQ (often called "the Q's") as the underlying financial instrument upon which you base your option trading strategies. The fund's official name is the PowerShares QQQ Trust. In the year 2000 the QQQ was the most actively traded security in the United States and today is the third most actively traded security in the world. 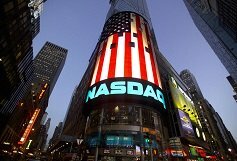 It a weighted average of the top 100 stocks in the Nasdaq Composite Index, known as the Nasdaq 100 (code NDX). The QQQ came into being in March 1999 and behaves just like a normal company stock, pays dividends and has options. The advantage however, of using an index related fund is that, unlike individual company stocks whose price action can be dramatically affected by internal factors such as earnings reports, news items such as a change in management, product releases, disasters etc. ... an index generally absorbs the impact of these things because the price movement for one individual share is not significant enough to affect the whole index. Only major economic news or general market volatility is likely to make a significant overnight difference to an index. The Nasdaq 100 can be a bit temperamental in this area though, compared to other ETFs such as the SPY, for reasons which will be explained. Trading the QQQ is a cheaper alternative to trading the NDX directly. This being the case QQQ option trading is not only highly liquid which makes it easy to enter and exit positions, but also a safer alternative since its price movements are smoother and less likely to experience overnight gapping. This makes the QQQ an ideal option trading vehicle. You can even take positions in it to hedge or balance your existing portfolio of options positions, particularly as expiration dates for short positions draw near. The QQQ is known to experience price volatility because the Nasdaq 100 includes a heavy weighting of tech stocks such as Microsoft, Apple, Intel, Oracle and Google. The second highest component is the health care industry which can also be highly volatile due to their sensitivity to news items such as FDA product approvals or otherwise. The Nasdaq 100 is also noticeably lacking in companies from the financial sector. As such, it can provide good setups for straddle options or other price volatility based strategies such as Victory Spreads. You simply wait till the price has run up or down to a major support or resistance level and as long as implied volatility is not too high, analyze the risk graph and if you can see potential, place your long dated straddle or 'victory spread' trade, set your 'good till cancelled' exit levels and prepare to take profits when price action has moved in accordance with your strategy. For example when one side has enough profit to cover the cost of the other, you take profit and now have a 'free trade' on the other side. Or you may simply wish to wait for an overall position profit level. Support and resistance levels on the QQQ can also be a great place to utilize the three legged box options strategy, because you're more likely to achieve your target price quickly. If you have enough funds, another QQQ option trading strategy can be set up using a QQQ straddle position with a near month expiry along with 'gamma scalping' techniques where you go long or short the actual QQQ shares to keep it delta neutral until expiration date. 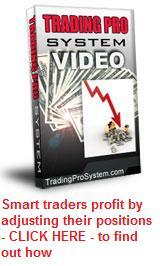 This strategy is one of many taught in the popular Trading Pro System series of videos. There are even services out there such as OneQTrades.com which are specifically set up to provide trade recommendations for only QQQ related products. These include QQQ option trading signals. Some also advertise covered call services based on the QQQ. In summary, QQQ option trading can provide some exciting possibilities for the serious trader due to its liquidity and volatility. However, as any good option trader knows, it's not wise to put all your eggs in one basket.